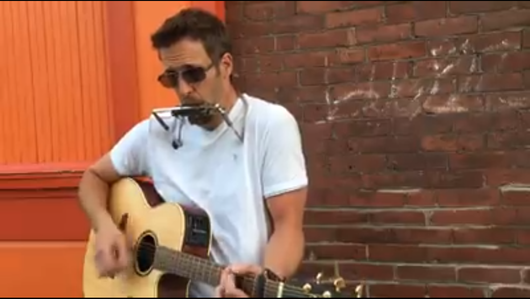 Paul Sticca is a singer/songwriter from Western Massachusetts. Sticca ventured into music at the early age of four as a classically trained pianist. Sticca studied at the Springfield Music Conservatory and later continued private lessons with one of the top music teachers in the area, Ida King. 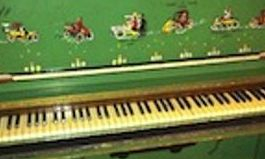 Sticca put many miles on an early 1900's, road-worn, pea-green upright piano that was relocated from the salvage yard to the basement of his home following its own adventure in vaudeville shows up and down the east coast in the 1950's. While learning piano, Sticca expanded his interest to jazz-rock drums and percussion, electric pianos and other keyboards and began performing with various bands navigating various musical styles and genres. 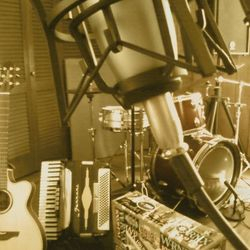 In his early twenties, Sticca began writing original music and became fluent on a variety of instruments including acoustic and electric guitars, baritone, lap-steel and resonator guitars, Hammond and other organs, harmonica, mandolin, melodica, bass guitar and his grandfather's classic accordions. Sticca writes and performs with the band AcousticcA (full acoustic band), TheChickenYard, duo Escaped Goats as well as solo at various music venues, festivals, concert series and regional events. Sticca has received rave reviews from Recording Magazine, and received local, regional and international recognition. Sticca is a publishing member of the American Society of Composers, Authors and Publishers (ASCAP). 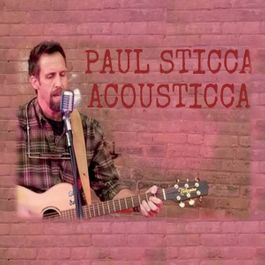 Sticca recently completed his 5th full length solo album "AcousticcA", comprised of 16 self-written and produced tracks and has written, published and released 4 additional full length albums including Stuck (Solo), JuneBug (TheChickenYard), Long Time Running (TheChickenYard) and Sevens (TheChickenYard), which have been well received with audiences of all ages. Sticca's performances and recordings have received praise from both local and national media include high-praise from the national industry publication Recording Magazine. Purchase the new album, Acousticca, in CD form via eBay or purchase mp3's via Amazon.com, iTunes, CDbaby.com or stream online via Spotify and other major streaming sources. 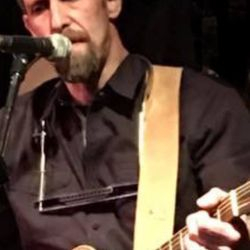 Contact us to book Paul solo, with the duo or full band for your venue or event. 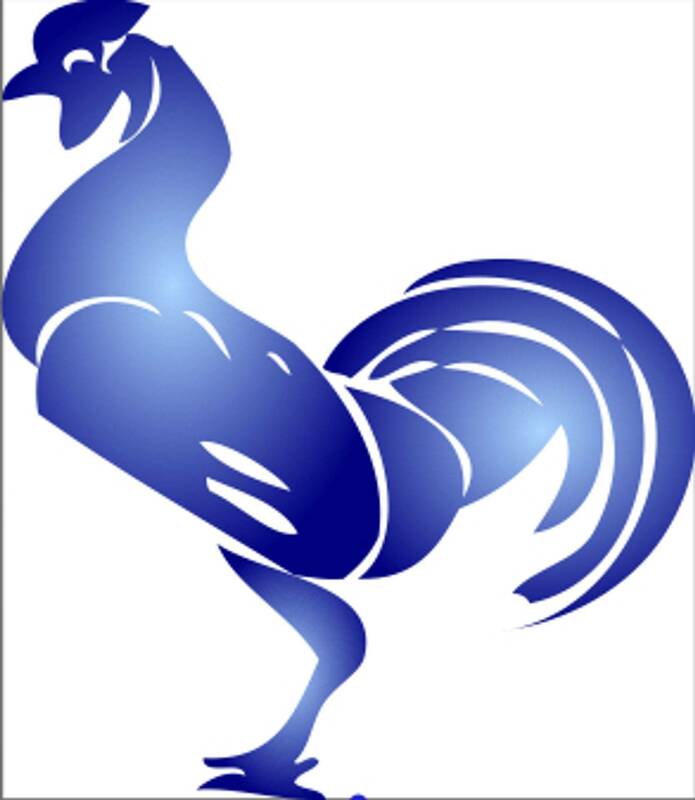 Check the Schedule of Events page for upcoming events. Sticca performed live on-air at Western Mass News as promotion for a show that evening with TheChickenYard at the International Food Festival in West Springfield MA! Video Footage Below. 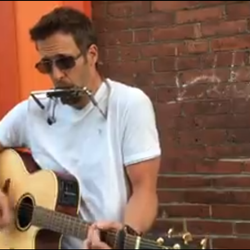 Sticca also performed live at The Big E - Kenny Chesney Blue Chair Rum Stage, The Springfield Jam Festival, Mohegan Sun Casino, Foxwoods Resort Casino, and the Winter Music Festival for Homebound Veterans in Northampton MA. Video Footage below (both duo formats). In 2010, Sticca completed the independent release of the album Stuck, which has received international internet-radio airplay. 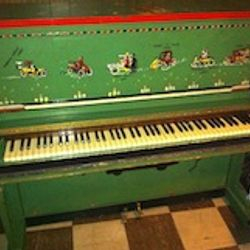 Stuck is a compilation of tracks via "experimental" genres. Stuck was written, engineered and produced by Sticca, who also performed all of the music on Stuck. In late 2011, Sticca released a second full-length album, JuneBug, as the band TheChickenYard. JuneBug was written, engineered and produced by Sticca, who also performed the majority of the music on JuneBug. JuneBug has received international streaming radio airtime as well as local and regional media airplay and the track Count to Ten received rave reviews from Recording Magazine. Fan feedback has generally suggested that JuneBug could easily be a blockbuster movie soundtrack. In 2014, Sticca released his third full-length album, Long Time Running, as the band TheChickenYard. Again, Long Time Running was written, engineered and produced by Sticca, who also performed the majority of the music - with contributions from Joe Pietrocola (drums) and Dave DeCandio (guitar). Long Time Running also received rave reviews including a review of the hit Stella from Recording Magazine. In 2017, Sticca released his fourth full-length album "Sevens" with TheChickenYard - which is currently being promoted and "toured" with that band. In 2018, Sticca released his second full-length solo, cross-genre album "AcousticcA" and is also in process of recording TheChickenYard's fourth full-length album (Title TBA) both will be released in late 2018. 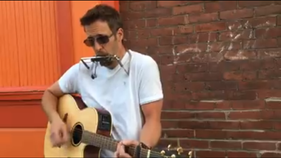 Download AcousticcA, Stuck, JuneBug, Long Time Running and Sevens mp3s from iTunes or Amazon (search for Paul Sticca AcousticcA or TheChickenYard Sevens, JuneBug or Long Time Running or Sevens) or purchase downloads via www.Cdbaby.com. Stream for free on Spotify and other popular streaming music services! Soundtracks: Three songs written by Sticca were featured in the Independent documentary "Two Wheels Through the Big Land". Link to Video below.